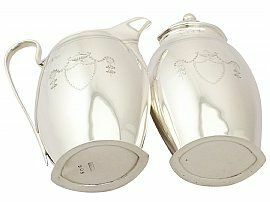 This exceptional antique Edwardian sterling silver afternoon teaware set consists of a cream jug and sugar caster. 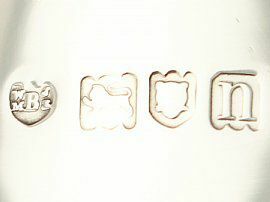 Each piece has a plain navette form onto a plain spreading foot. 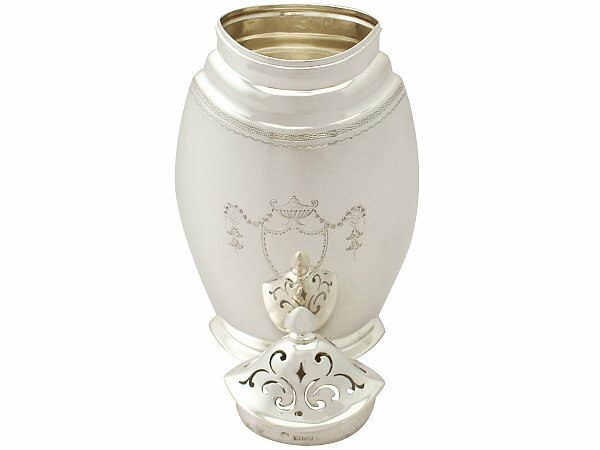 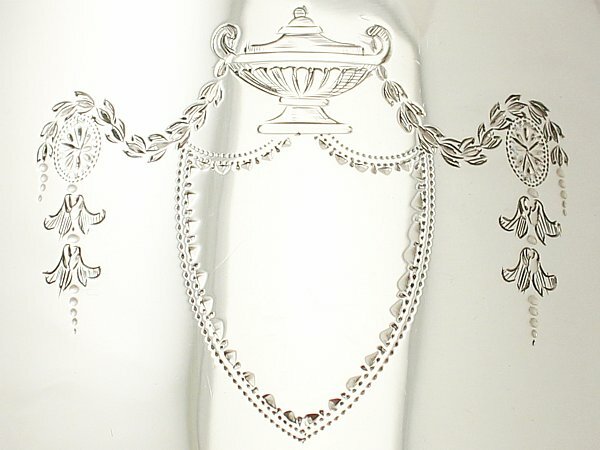 The bodies of the sugar caster and cream jug are embellished to either side with a fine and impressive bright cut engraved shield shaped vacant cartouche surmounted with an urn design accented with festoons anchored by pensile foliate motifs. 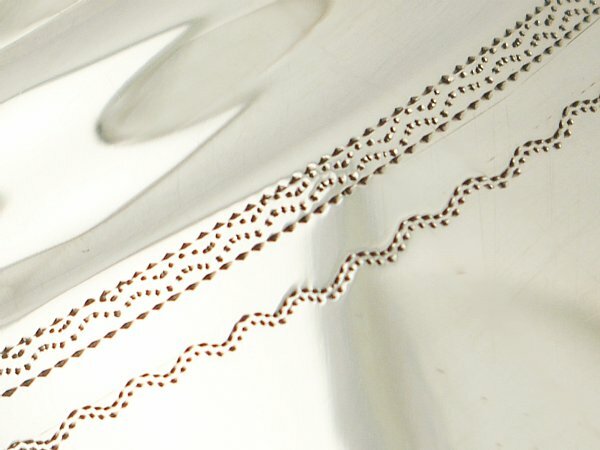 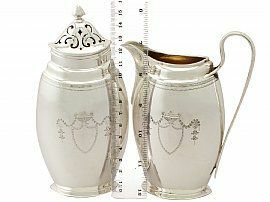 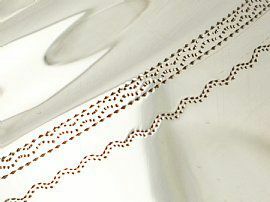 The antique cream jug is fitted with a plain sterling silver narrow loop style handle with a bifurcating upper terminal. 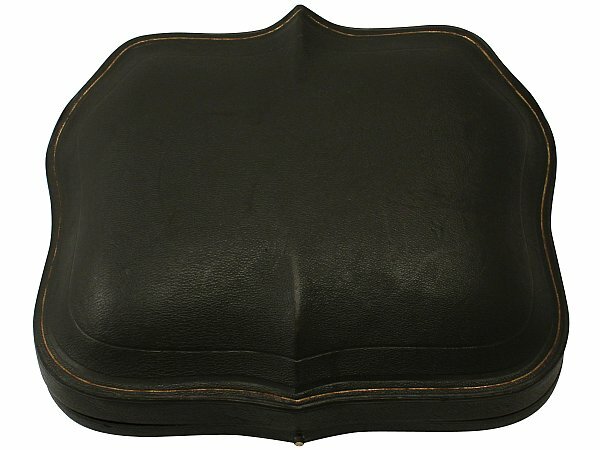 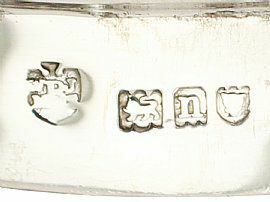 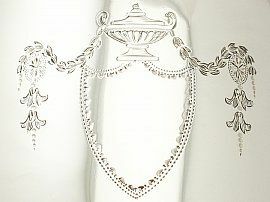 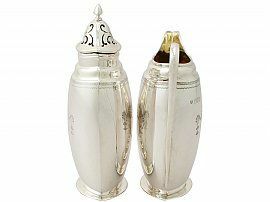 The caster retains the original hallmarked push fit cover ornamented with scrolling pierced decoration. 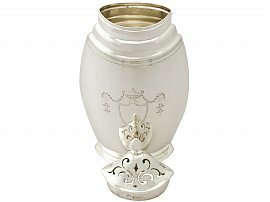 The interior of each piece retains the original gilding. 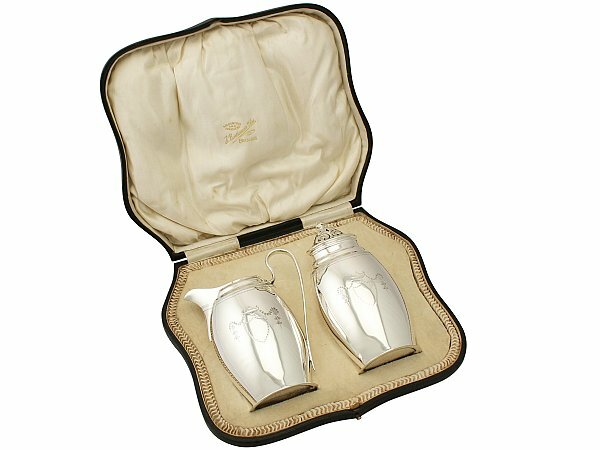 This antique cream jug and sugar set is fitted to the original hinged leatherette box with satin and velvet lined interior securing with a push fit catch. 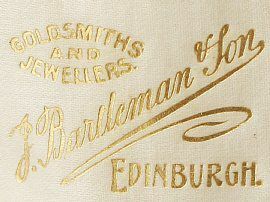 The interior of the box bears the retailer’s mark ‘Goldsmiths and Jewellers, J Bartleman & Son, Edinburgh’. Each piece of this impressive set was crafted by the renowned London silversmiths Edward Barnard & Sons Ltd.
Each piece of this antique cream jug and sugar caster set is an exceptional gauge of silver, exceptional quality and in exceptional presentation condition. The original box is in excellent presentation condition, in keeping with age. 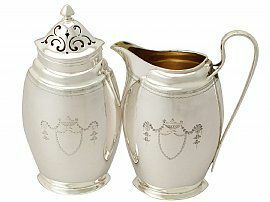 Full hallmarks struck to the surface of the cream jug and caster have wear in keeping with age and location, but remain location. 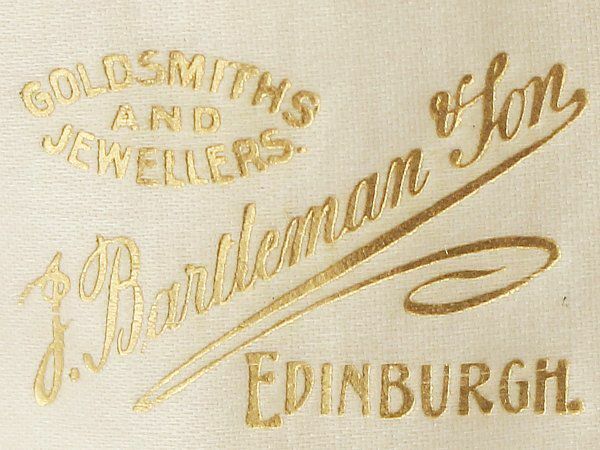 The hallmarks to the sleeve of the cover are all very clear.